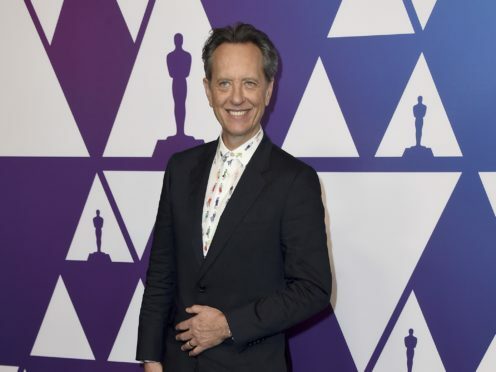 Richard E Grant has said he is “living the dream” as he posed alongside his fellow Academy Award nominees including Spike Lee, Bradley Cooper and Lady Gaga. Grant, 61, picked up the first Oscar nod of his career for his supporting role in Can You Ever Forgive Me?, which also stars Melissa McCarthy. On Monday, the British actor attended the annual Oscars Nominee Luncheon at the Beverly Hilton in Los Angeles and rubbed shoulders with the great and the good of Hollywood. Grant posed for selfies with a selection of nominated thespians, including A Star Is Born’s Cooper, who is up for best actor, and BlacKkKlansman filmmaker Lee, who is up for best director. Grant, who was born in Swaziland, also posed alongside Gaga, Mahershala Ali, Rami Malek, Glenn Close, Sam Elliott and Viggo Mortensen. Along with the snaps – some of which were blurry – Grant wrote: “You’ll understand why I am blurred and enduring ‘Smiling-rictus’ syndrome after meeting all these folk at the Academy Awards Nominees lunch today!!! At the Oscars luncheon, nominees were told by Academy Of Motion Picture Arts And Sciences President John Bailey to be quick with their acceptance speeches on the big day. Winners will have 90 seconds from the time their name is read out to when their speech will need to finish. The 91st Academy Awards will be the first ceremony in 30 years not to have a host and will instead rely on a string of presenters, including Daniel Craig. The Oscars lunch was not the first time the Withnail And I star Grant has shown his excitement this awards season. Last month Grant shared his emotional reaction after Barbra Streisand replied to a letter he sent her 47 years ago. Grant, who was 14 when he wrote to the actress and offered her a holiday at his family home in Swaziland, broke down in tears after hearing Streisand had finally got around to replying. The Academy Awards will take place on February 24.